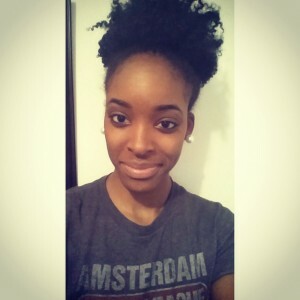 Tameka was selected as an SAI scholarship recipient and blogger for the Spring 2015 term. She is a current student at Western Michigan University studying at Florence University of the Arts (FUA) in Florence, Italy during the Spring 2015 term. Tell us why you chose to study abroad. I chose to study abroad because this is a once in a life time opportunity and I wanted to have the abroad experience. Tell us about your school, major, interests, clubs (you in a nutshell). I attend Western Michigan University, home of the Broncos! I am a fashion design major and I enjoy having fun. I love the adventure of exploring new things. While in college I was a member of Moda, a fashion organization on campus and also a member of WMU’s Women’s Rugby team. What are you most excited about re. studying abroad? I am most excited about traveling! What are you most nervous about re. studying abroad? I am most nervous about getting lost! What are three goals that you would like to achieve/accomplish while abroad? Three goals that I would like to achieve while abroad are meeting lots of new people, become more open minded and learning some of the language.